In the almost-forgotten language of the Elder Kings, Terrinoth means the “Land of Steel.” It is a land that knew the terror of the Uthuk Y’llan, the dread march of Waiqar Sumarion’s undead legions, and the chill shadows of dragonlords soaring overhead. Terrinoth is an ancient land—one of epic magic and terrible monsters, noble heroes and daemonic hordes. 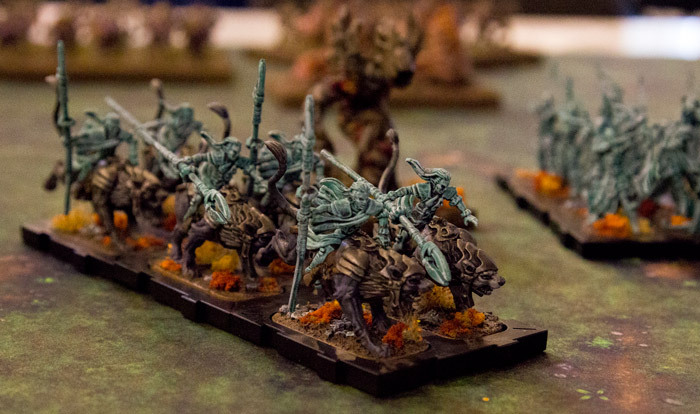 Its hillsides have been scarred by countless battles, each of which has helped to shape a new age, and now we come to the end of yet another of these ages with the end of Runewars Miniatures Game Organized Play. Ending the game's Organized Play program was not a decision that we made lightly. We love the setting. We admire the game's themes and mechanics. And we deeply appreciate all the dedication that you—the fans—have brought to this game. 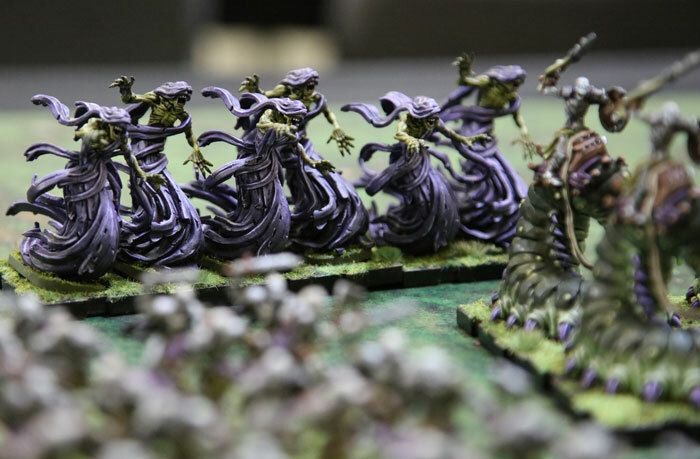 Runewars Miniatures Game players have consistently been among the most invested and enthusiastic of all participants in our Organized Play programs. Unfortunately, the numbers simply do not allow us to continue the program, and we are ending it immediately. There will be no further Seasonal Kits nor Store Championships, and we will be in contact with 2018 World Champion Justin Hare and 2017 World Champion Ben Fox to work through the adjustment to their World Championship prizes. The development of Runewars Miniatures Game has been a labor of love for us, and we have been thrilled to see that reflected in the spirit of the game's community. We want to extend our heartfelt gratitude and appreciation to all of the passionate and talented individuals who have contributed to the game, and especially to the community members and playtesters who dedicated their time and energy to its growth. Just as the runebound shards of Timmoran's Orb of the Sky retained their magic and were used to power spells and artifacts throughout the ages, so do the armies of Runewars Miniatures Game continue to promise riveting battles for you and your friends. We thank you all for your support for the game and its Organized Play, and we wish you many thrilling games for years to come.